Living Room area – The large open plan living area has 2 comfy sofas, TV with FreeView, DVD player and Bose docking station and a huge choice of DVDs, books and games. Slide open the doors to create an open space to the patio or eat at the dining table. Kitchen – On one side of the large living area is the kitchen with granite work top and inset butler’s sink. The kitchen is fully fitted with an induction hob, combi microwave oven, Neff dishwasher and large fridge/freezer together with the usual essentials such as kettle and toaster. We supply some basics such as coffee and tea as well as some starter Nespresso pods. Dining area – In main living room area with dining table and 4 chairs. Bedroom – Carpeted with a super comfy super king bed which can also be split to provide twin beds. Wardrobe and a chest of drawers for storage. The windows slide open to allow you to take in the sights and sounds of the river from the comfort of your own bed. Bathroom – Contemporary fully equipped bathroom with a powerful walk in shower, sink and loo. Underfloor heating underneath the granite floor tiles supplemented by a heated towel rail. A washing machine is located in the corner for your use. Towels and a supply of soap and shower gels are provided. Heating – underfloor heating throughout the flat provides a warm cosy feel. Outside – a large private sheltered terrace is directly accessible from the both the living area and bedroom. There are outside chairs and a table together with a gas BBQ . 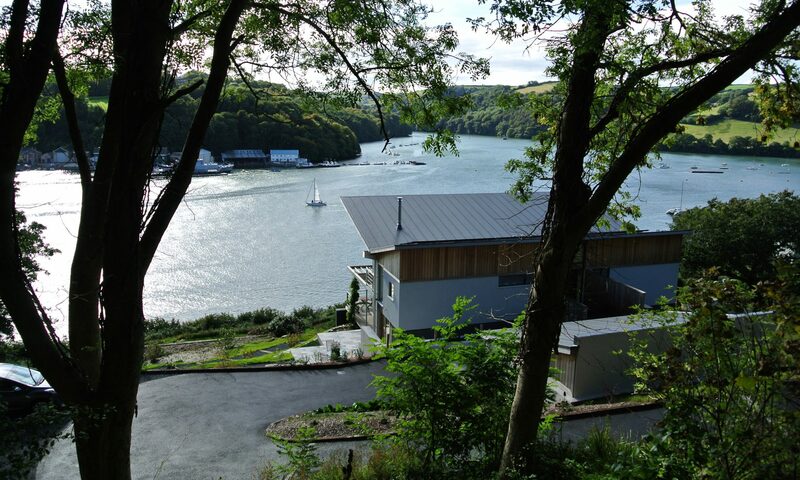 The house has a large garden shared with the main house with outstanding views towards Dartmouth perfect for enjoying the last of the sun as it sets over Old Mill Creek.